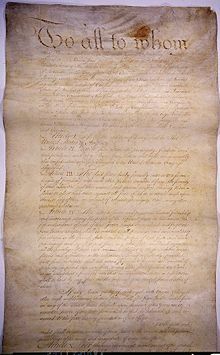 American Constitutional government is founded on concepts articulated in earlier documents, including the charters of the Virginia Company of London, the Declaration of Independence, and the Articles of Confederation. Virginia Company of London guaranteed the rights of Englishmen to the colonists. 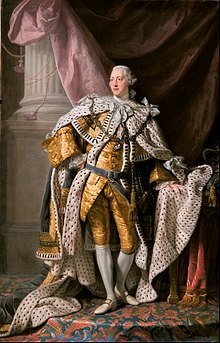 Declaration of Independence started grievances against King George III. Affirmed certain unalienable rights (life, liberty, and the pursuit of happiness). Established that all people are equal under the law. The Articles of Confederation was a constitution written during the revolutionary war to establish the powers of the new national government. The Articles provided for a weak national government. The Articles gave Congress no power to tax or regulate trade among the states. The Articles provided for no common currency. The Artices provided for no executive or judicial branches of government. The Articles gave each state one vote regardless of size. The lack of federal judicial branch led to many land disputes between the states. Congress did not have the power to collect taxes; therefore, they could not raise enough revenue to pay the Continental Army. This weakness led Spain and Great Britain to take advantage of the USA. Shey's Rebellion was the last straw for Americans. Many realized the Articles of Confederation was not working for the new country. On May 1787, the states met in Philadelphia to fix the Articles of Confederation. Only 5 states agreed to send delegates, but the meeting still worked out. They soon realized that they needed to create a whole new constitution. This page was last edited on 20 August 2018, at 03:09.